This web community is dedicated to the people who work as third crewmembers on larger private [business] jets. Quite simply, we are an on-line community of corporate flight attendants, the people who support them, and those who aspire to become one. 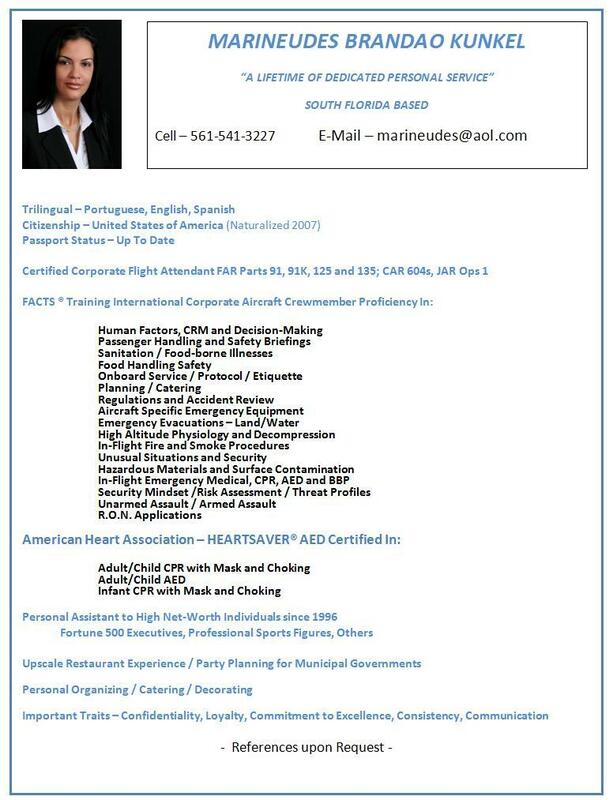 Please click here to find a qualified corporate flight attendant for your next flight or to find a candidate to join your crew permanently. Visit Private Jet Charter Operators for a comprehensive list of charter, fractional, and aircraft broker service providers. For separate information about fractional jet operators, please click here. Our active forums provide the interaction you desired with other members of your profession. Please register today to participate and to view current job opportunities. Do you need a caterer? Our Corporate Jet Catering pages can connect you with an in-flight caterer. In addition, you may want to consider the Caterer's Working Group Mentoring Program to learn more about business aviation catering. Download your free copy of a highly beneficial, 26-page Catering Guidelines For Flight Attendant book developed by industry respected food service professionals. This site's blog, Corporate F/A Dispatch, discusses many of the behind the scenes community and aviation happenings and is frequently updated. Check out just who in business aviation is being featured! Finally, if you cannot locate what you want via the indexed tabs found throughout this site, please check the Google site search box below to find what you need. We are delighted that you have discovered the internet's top resource center for business jet flight attendants and we thank you for your patronage.